Helps Hydrate Dry Skin and Control Sebum Production for Oily Skin. To win the war against oily skin, you must fight oil with oil. Traditionally, we fight oily skin by stripping it of its essential oils. Unfortunately, this action tricks the skin into thinking it is dehydrated and results in the production of more sebum. When you apply oil formulated specially for the face, the skin believes it is hydrated and sebum production is under control. SHAKE WELL. Gently pat four drops onto moisturized skin. Apply either over your moisturizer (Rejuvenating a Day Cream/Restoring Night Cream) or wear alone. 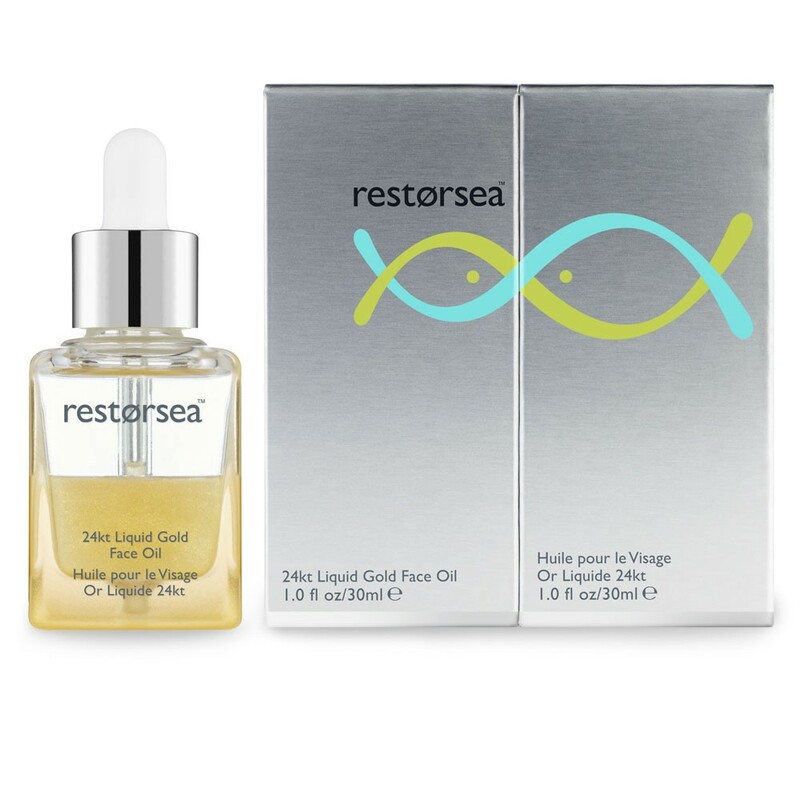 You want to put the most occlusive product on last.This is why the Renormalizing Serum goes on first, then the Rejuvenating Day Cream/Restoring Night Cream and then the 24kt Liquid Gold Face Oil. If the oil is put on first, it provides an occlusive barrier which prevents the penetration of other products. Pat two drops over the entire face including the nose but avoiding the eye area. Apply morning and evening. Store in a cool, dry place. 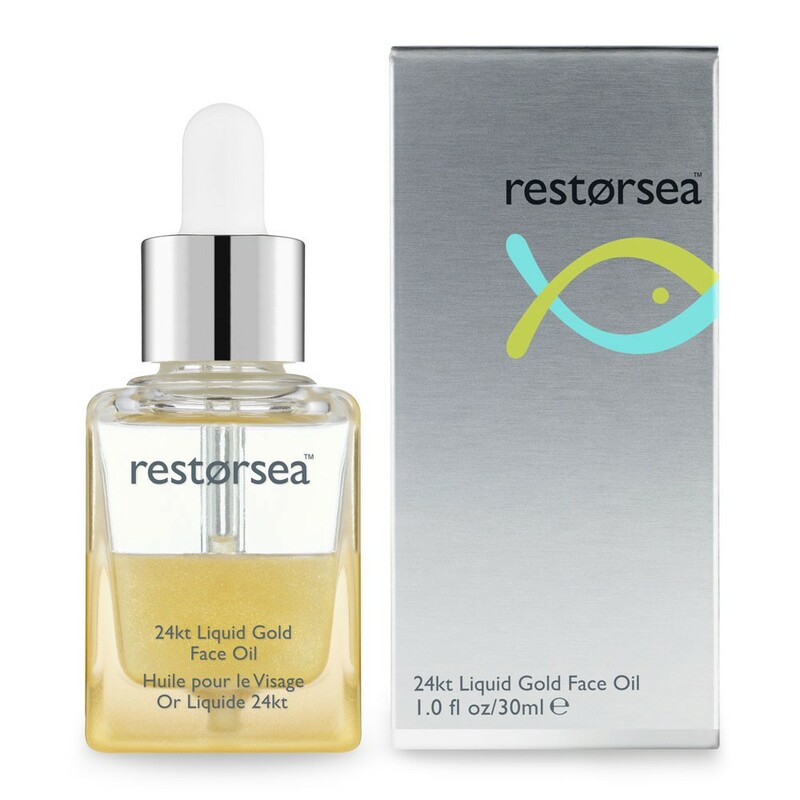 Contains 3% of Aquabeautine XL® and AA2G 1%, Kalpariane 0.4%, Gold, Squalane. I absolutely love this product! I have actually replaced using Retin A with this product. I usually have a hard time with dry skin in the winter months but have had great skin this year. I could she the change in the texture of my skin within two weeks! I love this product and have seen results after only a few weeks of use. It gives my skin and overall glow and shine that others have noticed. 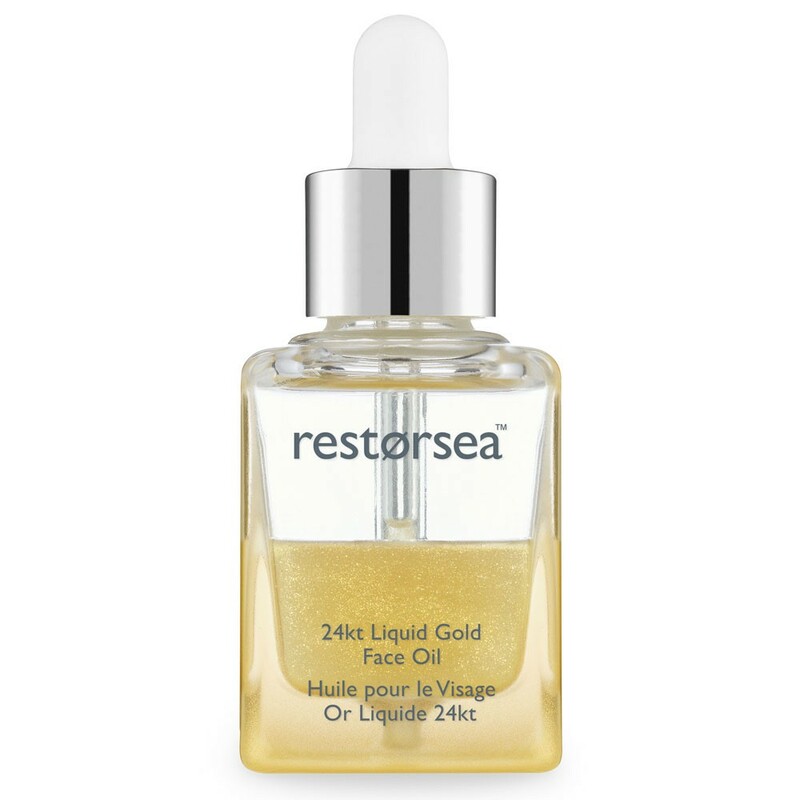 I use the 24kt Liquid Gold after I apply the serum each day. I have tried every foundation primer oily skin product out there and nothing has ever worked until now!!! I was very hesitant to put oil on my oily acne prone skin but after loving my other Restorsea products I thought "why not". I ordered a travel size first and will now I am addicted!!! Bye bye shine. Hello foundation that stays on all say. Bye bye acne. Hello hydrated skin. This is a MUST HAVE product for oily girls!